Representatives from Oklahoma's Native American tribes participate in workshops at the Sam Noble Museum. Image courtesy of the Sam Noble Museum at the University of Oklahoma. Since 1972, the NEH has supported research on and the preservation of Native American cultures at the University of Oklahoma. It has provided funding for traveling exhibitions on the Plains Apache and Wichita tribes; the production of American Indian Literature, a 1972 anthology that remained in use for decades; and the conservation of Native American ledger art. 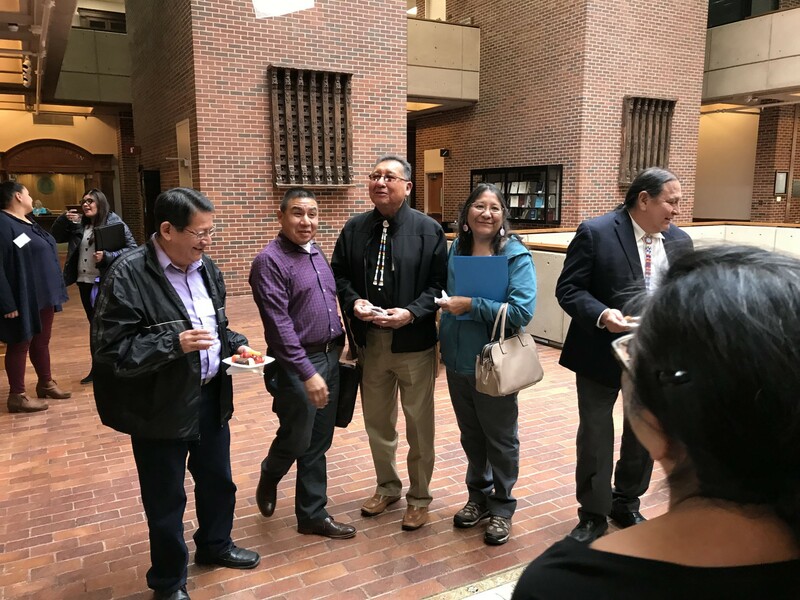 With NEH funding, the latest project at the Sam Noble Museum at the University of Oklahoma explores the possibility of establishing a Native American music archive at the university and at tribal centers. In consultation with Oklahoma Native American communities and cultural leaders, the project will develop a series of protocols for best practices in ethically facilitating the preservation and digitization of music recordings. Many of these come from historically-private, sacred repertoires whose circulation has been strictly controlled based on Indigenous conceptions of cultural property. Given music's connection with so many important facets of American Indian culture—including heritage language retention, religious practices, social cohesion, and education, this project is urgent. This is particularly so as elders pass on, taking their knowledge with them, and as many existing recordings made in outmoded formats steadily deteriorate.